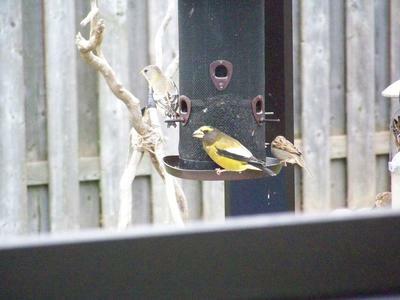 I was in the garage on November 6th 2012, and heard some foreign bird noises at the feeder. Looking out I was greeted with birds I was unfamiliar with, perhaps seven or more, just bombing the sunflower seeds for a couple hours. I was able to capture a couple photos and researched what they were. Had them for just that one time.